Consistent High Standards achieved by trained & motivated teams. Since 1985, Protech Garden Solutions have developed a growing reputation for excellence which stretches across Greater London and The Home Counties. This has been achieved by providing a complete and cost effective garden maintenance solution for clients of all sizes. We have a proven track record of highly professional and totally cost-effective management for people who recognise the benefits of using specialist suppliers for their non-core business. 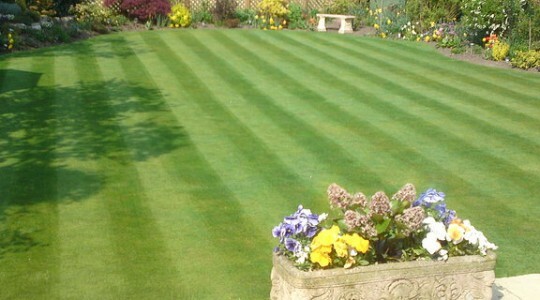 Our clients continually trust us with making their grounds look their best all year round and providing the finest garden maintenance service. So, if you are a single or a multi-site operation then come and talk to Protech Garden Solutions – we will get your grounds looking tip top and keep them that way. Not only has the company achieved the highest quality standards, (we are certificated to ISO 9001, ISO 14001 and ISO 18001), but our individual teams are all trained and have achieved all of the necessary qualifications. Our comprehensive training system comprises both internal and external courses to ensure we reach and exceed the levels of quality necessary to deal with such a wide and diverse client list. We keep everything looking top drawer, from cutting formal or general amenity grass areas to banks and edging. We can also arrange to keep your lawns in top condition through various treatments, aeration, scarifying and top dressing etc. 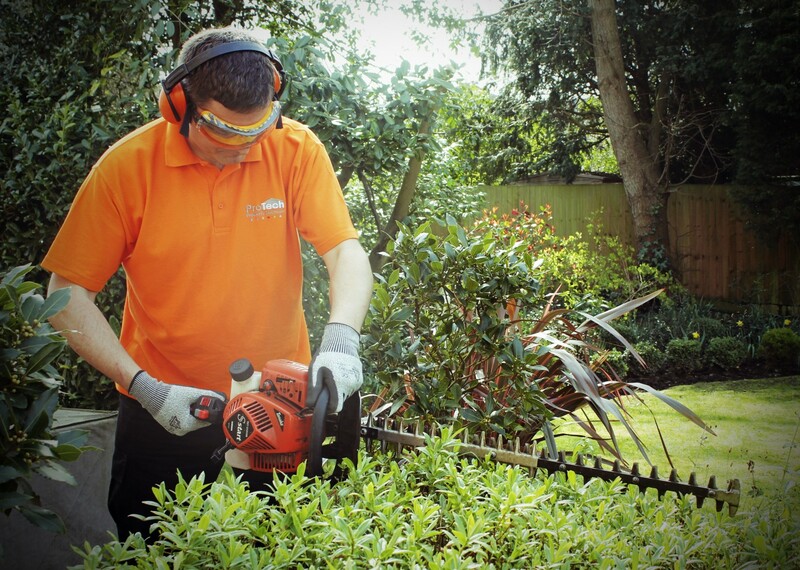 These are areas that need to look good as much as possible and we cover weed control, hoeing and digging, bark mulching, the pruning of shrubs and roses, herbaceous plants and of course hedge cutting – everything you need to keep your grounds looking fantastic. 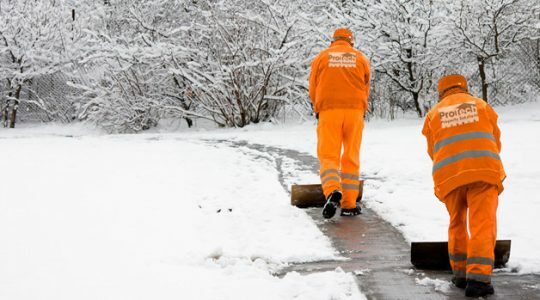 It’s vital to make sure that your footpaths, car parks and access roads are safe when the temperatures fall to freezing or below, or when we get snowfall. Snow and ice cause massive disruption to any site and with the huge potential for financial loss and injury to residents, staff, or visitors, it is essential that it is managed and controlled. Get rid of the headache this winter by letting us reduce that risk for you with our gritting and snow clearance services. There are always other areas to consider and as part of our service we automatically look after environmental hygiene through road sweeping, clearing litter and leaves as well as weed treatment. And there’s more – hard and soft landscaping, fencing and repairs, turfing and even tree surgery. As well as specialising in the upkeep of a variety of multi occupancy residential estates and apartments, we also care for industrial areas, retail parks and hotels offering superior maintenance and management. ProTech Property Solutions’ dedicated teams aim to finish all tasks to the highest of standards with no hidden or surprise costs – providing a reliable service that you can depend upon. 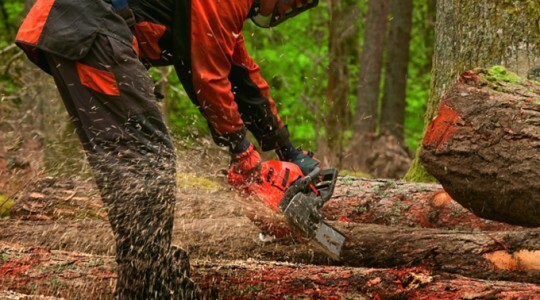 By having Protech Garden Solutions carry out periodic maintenance work on your grounds, you can add years to their expected life span, as well as considerably enhancing the overall appearance of your premises. We are able to deal with any specific request you may have, so please don’t hesitate to ask. For more information on our garden services please visit: Protech Lawn Solutions | Protech Tree Solutions | Winter Gritting Solutions.